Samsung's groundbreaking 5.2 cu. 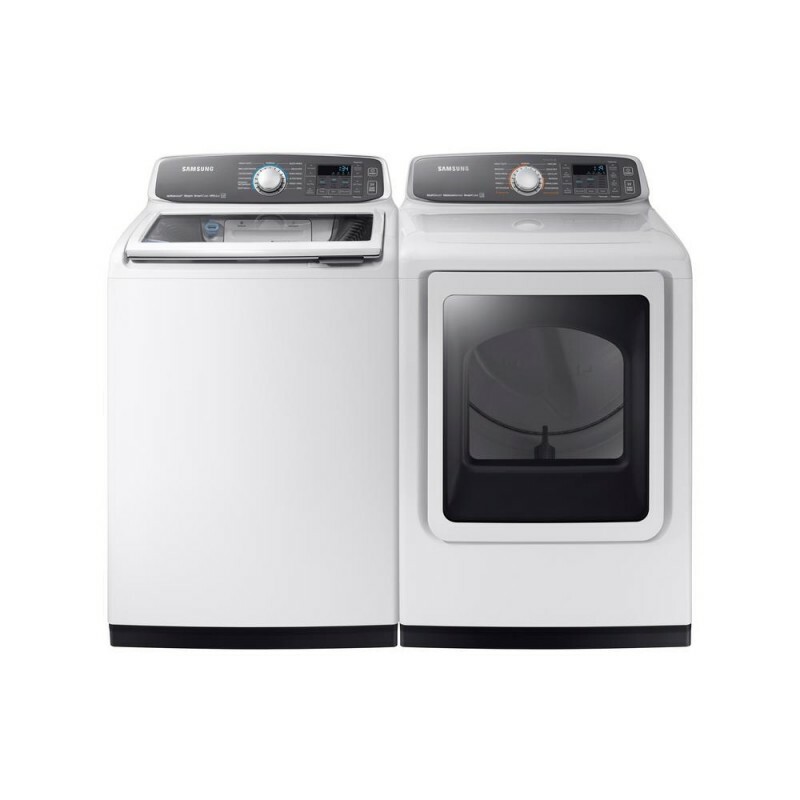 ft. High-Efficiency Top Load Washer with Active wash is a true game changer in the laundry room. This washer has a built-in sink for pre-washing your clothes. 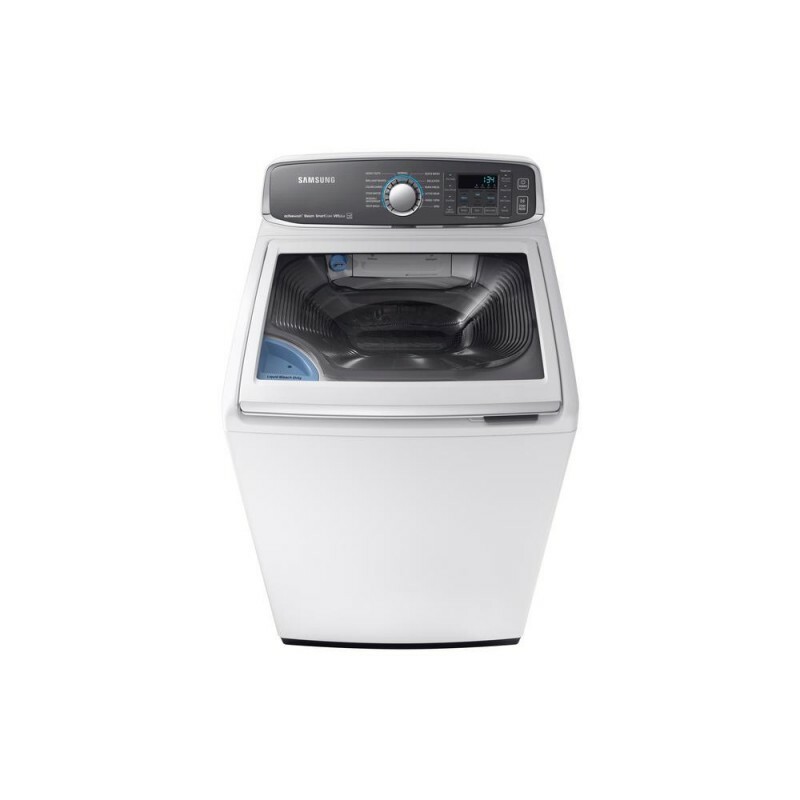 No more soaking clothes in the sink and getting water all over the floor when transferring garments from the sink to the washer. This one-stop solution for all your treating and pre-washing needs comes complete with water jet and scrubbing board. 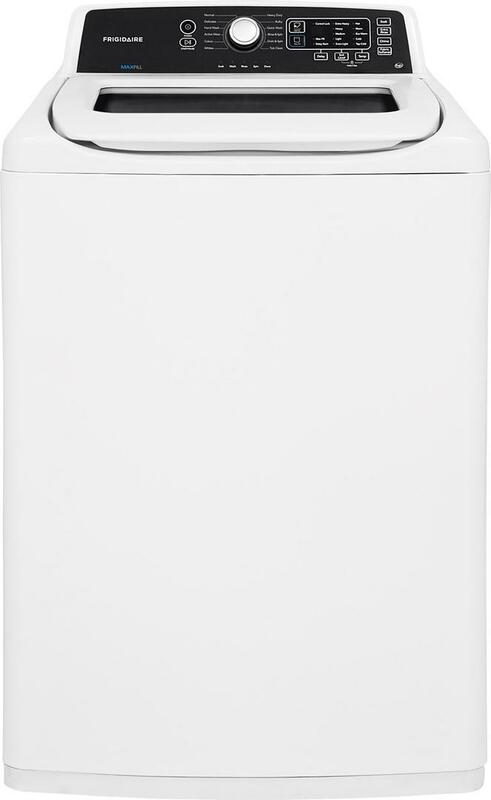 This washing machine also features AquaJet Deep Clean Technology that cleans your clothes deeply, but gently. Things I learned I love the companion dryer so much that the criticism of the washer is more disappointing. The washer itself is great when in use, I haven't has the opportunity to use the single item basi nat the top yet. But what I have come across is the compartment use for loading the detergent is awkwardly placed. You have to ope n the basin to properly access it and you need to be mindful to close it before putting down the machine lid. Also, given the size of the tub, you'd think it would have a larger washing capacity but that isn't the case. As long as you keep those 2 things in mind you'll be very satisfied with this washing machine. Great as long as you're not short I really wanted this washing machine. I hand wash and pre-treat all the time and since I don't have a sink in my laundry room this ends up happening in the bathroom sink. I was very excited about the pre treating basin with scrubbing ridges to help get out stains. But beware, this washing machine is TALL. I am 5'6" which is average, if not a little taller for a female and I find myself on my tip toes to get the clothes at the bottom of the basin. Also, I found that I use the pretreat basin less than I expected. Partially because if you don't get ALL the water drained into the main machine before you start a cycle, then when you go to get your clean clothes, you might drip some old water in there. Also, there is no way (that I have found) to use the basin without doing a load... so it doesn't help me "hand wash" clothes, just pre treat stains. 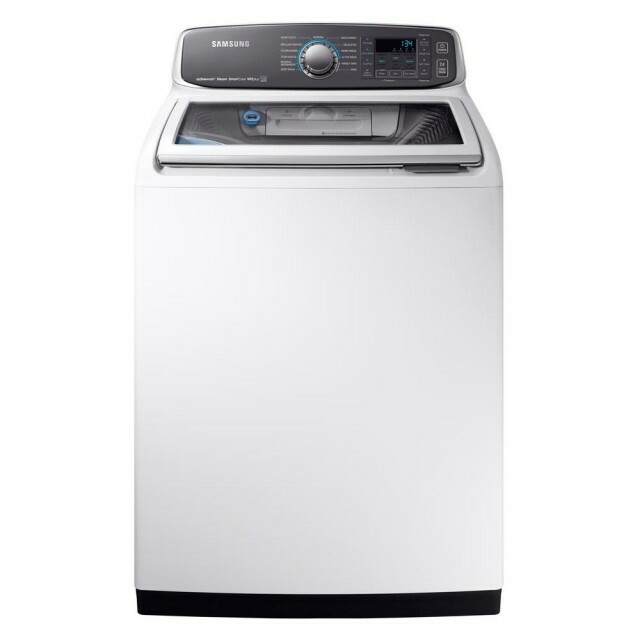 Great Washer I've only had this washer a few weeks but it has exceeded my expectations! I was wary to get it when I read some of the reviews stating it was noisy and didn't get clothes clean but those are the exact opposites of what it's done for me. It is a very quiet washer, I had to double check it was running because I couldn't hear it (it's attached to my kitchen.) And so far it's gotten my clothes clean. 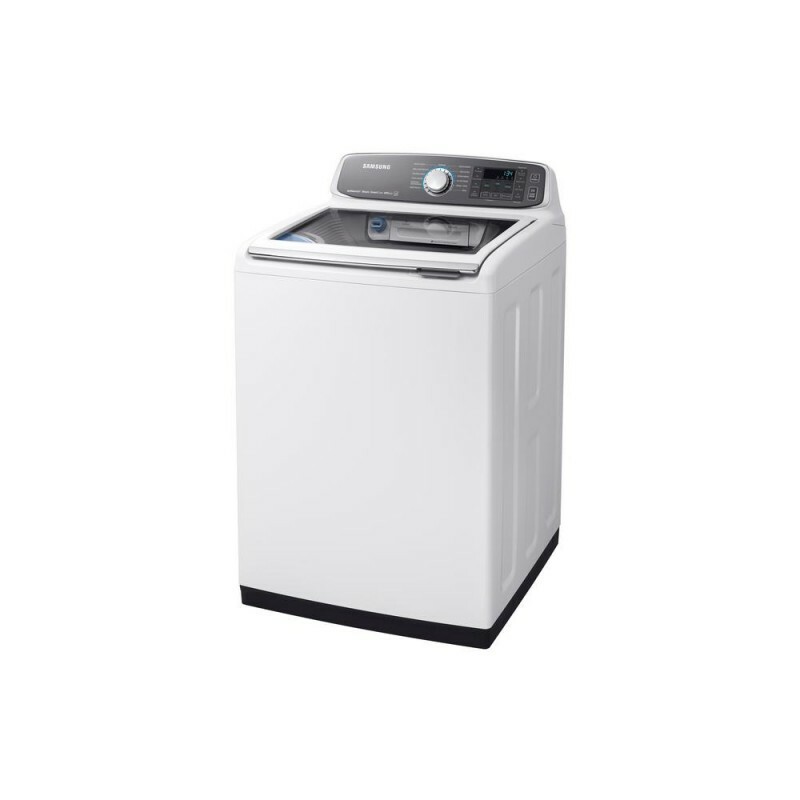 It is an eco washer so it only fills the drum to meet the quantity of clothing you have in there but as long as you load it correctly it works perfectly. The only downfall is it does take a little longer to run a cycle, but again that's because its eco friendly. The controls are easy to use and I like that it locks when the cycle starts. It is a little tall for me but I knew that going into it, if you're paying for a larger capacity size you should expect it to be bigger. Very Pleased So far, very good. Extra large capacity does make it hard to reach, but I bought a step stool and don't mind. I wanted the ability to wash comforters. Large loads of towels have not become unbalanced, very quiet. In the past, I washed all my sweaty smelly workout clothes on a heavy duty, hot water cycle. I decided to try the active wear wash and clothes don't smell and will probably hold up better. Very happy so far. The only thing that would be nice is if there was a louder end of cycle signal so I would know when it's finished. Superb This machine was an exchange for the LG direct drive washing machine. I had my reservations esp because I read so many bad reviews about Samsung machines. 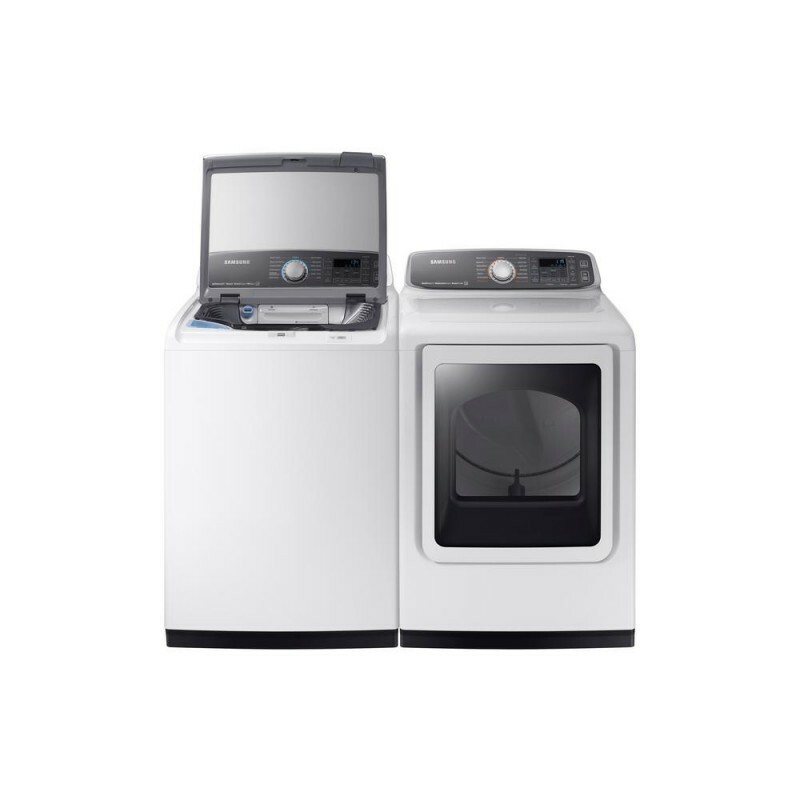 I decided to take a chance since when I bought the LG machine I had read great reviews about it...ironic but true..look for the negative reviews and make a decision then...don’t just read good reviews..this Samsung machine is superb, washing cycles are short but efficient. Clothes are so clean, smell clean and based on cycle you pick, clothes come out almost wrinkle free. Make sure to read instructions and sort clothes properly and you’re good. Capacity is huge, only downside it’s too deep for petite people to reach little items like socks. Have a small stool handy and you have a solution. I don’t like that you can’t adjust temperature for some cycles, but I’m learning to work around it: sort clothes a little different and use different cycles. It does have eco warm temp which works as a middle ground if you need cold water but can’t adjust water temp. All in all, I’m happy with the purchase and with my Best Buy appliance team. Thank you!! !